After loads of rumours and our exclusive report on Oppo A7 render images & hardware specifications, the phone is now officially launched in China and is available for sale now. 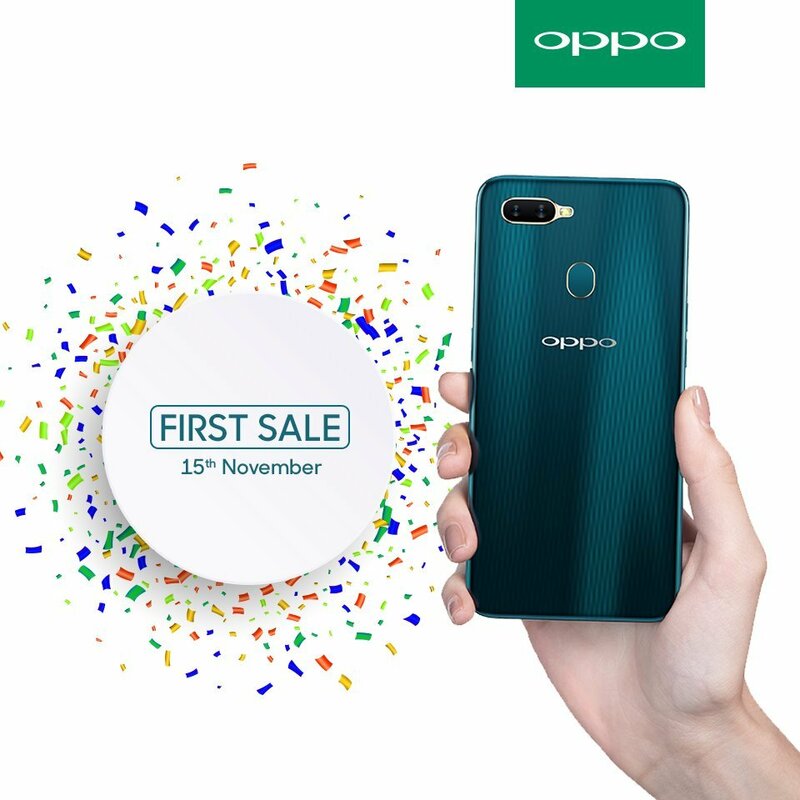 Apart from Nepal, Oppo A7 is also available now in Sri Lanka from the offline retail stores. It is expected to launch in some other countries too, but with the official launch in Nepal we have all the official hardware specifications and press renders of the phone including the price. It is priced at Rs. 35790 (Nepali Rupees) which converts to ~Rs. 22,000 or US $310. The pricing may be too different for other countries and you should wait for the official announcements for other regions price. 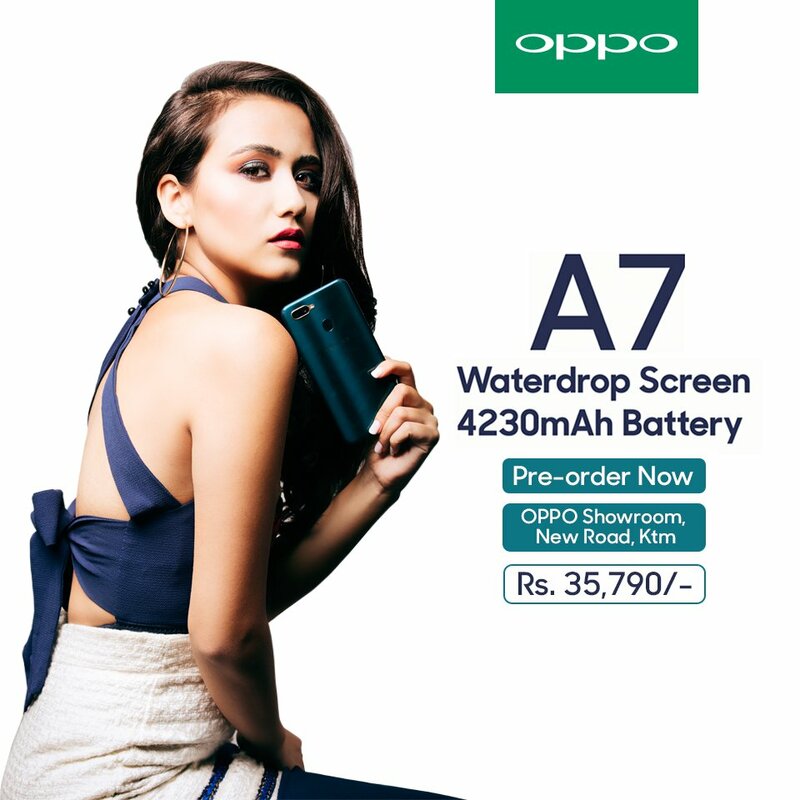 Oppo A7 is powered by a Qualcomm Snapdragon 450 processor clocked at 1.8GHz. It comes with 32GB/64GB internal storage along with support for expandable storage up to 256GB with MicroSD card. The official listing doesn’t reveal the RAM details, its 3GB RAM as per our information. More RAM variants may be available in other countries. 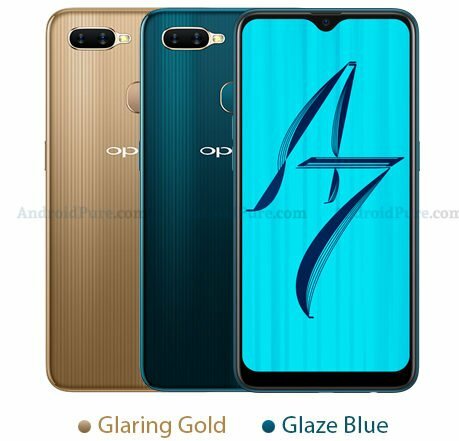 In terms of camera, Oppo A7 features a dual camera module at rear consisting of a 13MP and 2MP sensors while on the front, there is a 16MP selfie snapper. The front camera supports AI Beautification 2.0, HDR and bokeh mode. The device supports Face Unlock via the front camera and has a fingerprint scanner on the back panel.